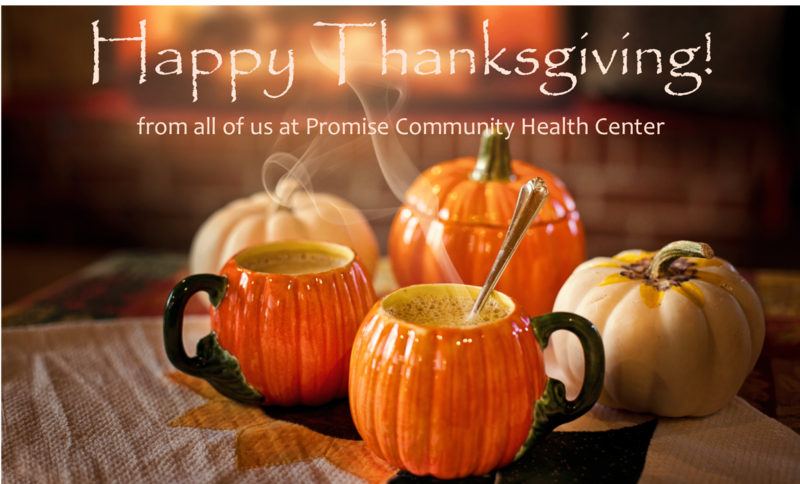 SIOUX CENTER – We have a lot to be thankful for here at Promise Community Health Center. We thank our patients for entrusting us with your care. 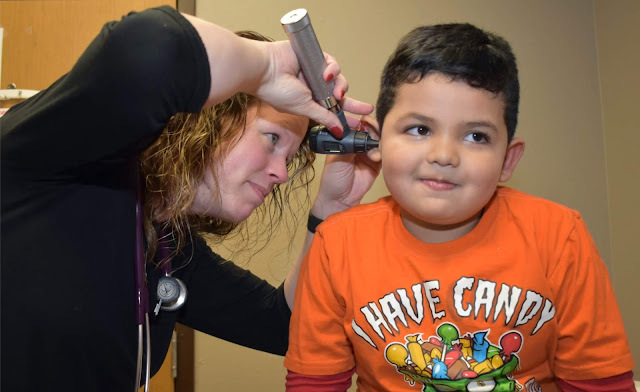 We thank our providers and staff for their dedicated, compassionate care of patients. We thank our board members for their committed, volunteer service. We thank our donors for their faithful support of our mission. We thank our partnering community organizations for working with us. With gratitude in our hearts, we count our blessings this Thanksgiving Day as we continue to grow to better serve our patients and community. We know it’s through the collective teamwork of everyone, working together, that we can make a difference. I’m thankful for the patients we care for and having an opportunity to be part of their lives through their life stories and life experiences they share with us. I’m thankful to work in an organization which has a sweet, servant attitude and where what we do, does make a difference in people’s lives. It’s also an organization where people like to eat! I feel like I get a thank you in return for helping patients. I’m thankful to work with such wonderful, helpful staff members! It’s great to know so many people can come together and help a community in so many fantastic ways. I am thankful for the servant heart of so many of our employees. They choose to work at Promise; they choose to serve every day. It’s hard to find employees like that, and we are very blessed to have them! I’m thankful for being a helpful hand to our patients and, as an interpreter, helping them get beyond the language barrier. I’m thankful for being integrated into a different culture. Not a lot of nurses get to experience that on a daily basis. It’s something different. I am thankful for the opportunity to serve others in so many ways! Whether it is our patients, our employees or the community, I love being able to serve! I’m grateful to be in this country and, moreover, to be part of this clinic. As a new immigrant, I get to be part of a new culture and new traditions. I’m very grateful to be here. I’ve had a great experience with Promise – with patients, with co-workers and with everyone in general. I couldn’t have had a better start here in this country than being here. I am thankful for getting the chance to experience more dental work. I’m thankful for all the growth in the last few years. It helps us serve even more patients in really innovative and impactful ways. I’m thankful to be able to tend to people who don’t really have a lot of resources. I am thankful for the opportunity to serve the women who seek out midwifery care here at Promise. I think it is wonderful Promise offers an alternative to traditional prenatal care by supporting our midwives. I am so thankful for the opportunity to get to know our families that value quality care and the personal touch we provide. I am thankful for an organization that strives to meet the needs of not only their patients but also their employees. I’m thankful to help patients from a variety of walks of life and to be able to offer an open door to any questions they may have. I am thankful for wonderful co-workers and the ability to meet and interact with people from the community. I’m thankful for having the opportunity to serve a community in need. I am thankful for Doc Lassen. He answers all my questions with a smile. I am also thankful for the amazing staff at Promise. I am definitely thankful for my wonderful patients that trust me with their health. Most of all, I am thankful that God put upon my heart to come to Promise. God bless, and Happy Thanksgiving everyone! Faith couldn’t have offered a more fitting conclusion with her best wishes. From all of us at Promise, we wish you a Happy Thanksgiving! We hope you have a wonderful holiday with family and friends. Take time to count your own blessings.